The HMT Complex houses the district's administrative offices, open weekdays (8a-5p). 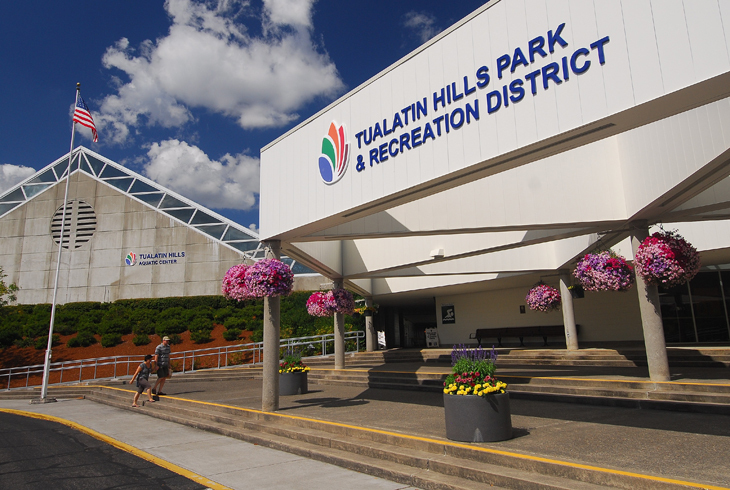 The Tualatin Hills Athletic Center hosts indoor and outdoor hoops, and is the hub of league sports activities. 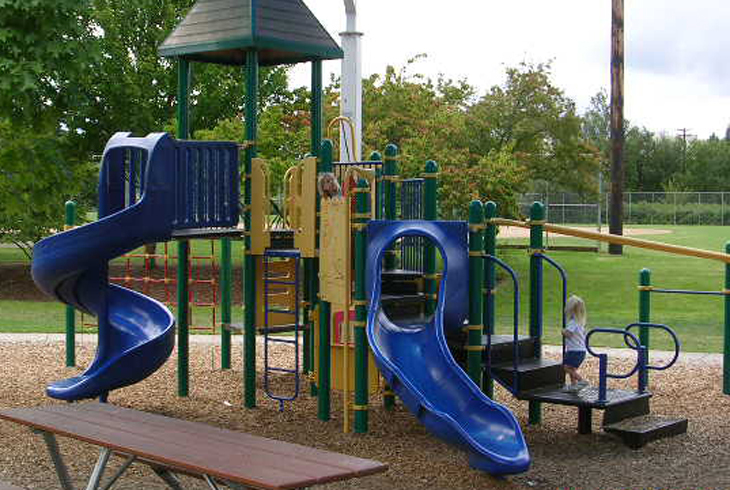 This site boasts one of the district's only covered play areas. 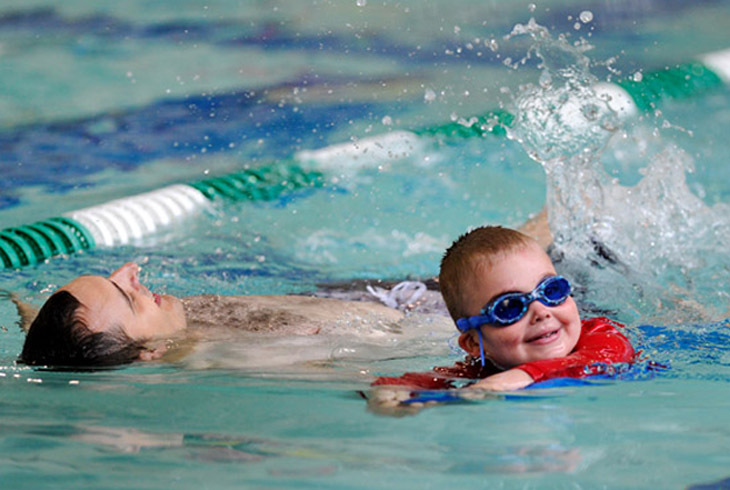 The Tualatin Hills Aquatic Center hosts hundreds of swim classes, open swim, lap swim, and competitive programs. 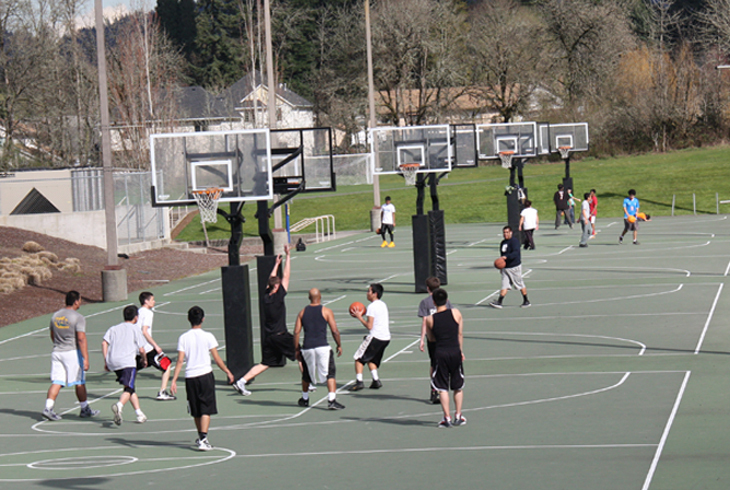 The Howard M. Terpenning Recreation Complex is the crown jewel of the Tualatin Hills Park & Recreation District. The 92-acre complex receives an estimated 650,000 visits per year. Named for visionary Howard M. Terpenning (the district's GM from 1959-1992), this complex includes a 50-meter pool, 15 tennis courts, five multipurpose fields for soccer, football and lacrosse, five softball fields, two baseball fields, a roller hockey rink, two skate parks, four outdoor and six indoor basketball courts, two covered play areas and a 10-acre natural area with walking trails. Join us for Party in the Park -- THPRD's largest annual community event. This great day of free, family-oriented fun is held every July. The Howard M. Terpenning Recreation Complex in Beaverton will be transformed into an all-day festival of free activities, including drop-in sports, swimming, crafts, games, climbing walls, inflatables, and more. Most activities run 11 am-4 pm, rain or shine. The day begins with an untimed Family Triathlon at 9am and other activities. Food and drink will be available for purchase from several local vendors. Parking is free at Party in the Park, but space will be limited. The complex is served by bus routes 59 and 67. Join us for Party in the Park, a day of free, family-oriented fun with THPRD! Volunteers will assist with volunteer check in, parking, rocket works, inflatables, crafts, climbing walls and more. Multiple shifts are available.